IELTS , the most widespread certificate in the world , indispensable for working and as a requirement for university admission in Italy and abroad. Together with our teachers you can familiarize yourself with the exam by focusing on techniques and strategies to pass the test and get the best results. 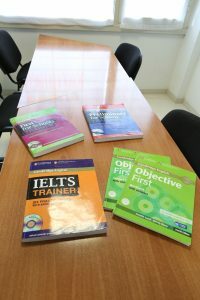 Teachers will use IELTS preparation material and the focus will be on improving your English language skills (reading, writing, listening and speaking) while building up your vocabulary, improve your pronunciation and have a better understanding of English grammar. Most universities would expect students to reach a minimum #IELTS score of 6.5, which is equivalent to C1. Minimum level of admission for our #IELTS courses is B2.